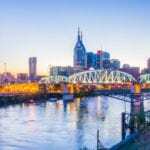 NASHVILLE, TN — Failure to extend the work contract for the schools’ director will prompt residents to vote against school board members who fire him. 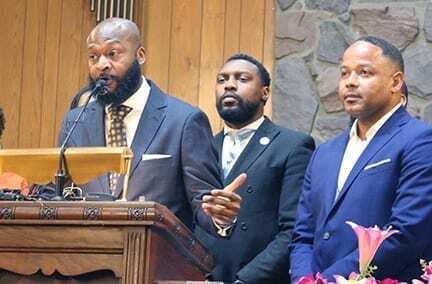 That’s the message from a meeting of nearly 100 voters at New Hope Missionary Baptist Church, 1303 Hawkins St., where residents rallied to “Stand Up for Our Youth and Dr. Shawn Joseph.” on March 21. Five days later — when to some it seemed as though Dr. Joseph was negotiating an exit package — the embattled director was “speaking in his own defense,” Pearl-Cohn High alumni Mia Sims Moorefield reported from the school board meeting. Joseph’s contract expires in a year. Now a senior business process consultant for a Fortune 500 company, Moorefield reports: Joseph invoked executive privilege; spoke about a board retreat; “and broke down each allegation” against him by citing discussion during his job interview several years ago. “He’d asked them about the No. 1 issue,” Moorefield said. It was morale, and it’s part of discord now. Finalization of Joseph’s evaluation committee report is set for April 9. The flip side of that: “Dr. Joe Has to Go,” according to placards some residents held Tuesday. Last Thursday, Joseph’s advocates showed dedication that implies they’ll attend the April 9 meeting and won’t forget how Joseph was treated. “Hire Dr. Joseph or we will fire you” at the election polls, Moorefield told more than 100 people in the church on Hawkins Street. Metro Council member Tanaka Vercher said, “We’re here at this rally for Dr. Joseph” and students. Discord over Joseph’s administration among school board members, and from one TV station’s news reports, are motivating residents. Joseph cut spending by $15 million last year. Rev. James C. Turner II, pastor of New Hope Missionary Baptist Church and president of the Interdenominational Ministers Fellowship, explained: “He’s moving money from the schools at Bellevue.” That’s one example of resources spent on schools in need. Of Metro schools’ 85,897 students: 42 percent are Black; 25 percent Hispanic; and four percent Asian. Therefore, 71 percent are minorities and 29 percent are white. Support for Joseph came with advocacy for the schools’ budget starting July 1. It’s proposed at $918 million which is $31.7 million more than this year; an increase of 3.6 percent. School advocates also call for pay raises for employees, and Caldwell was asked about survey results showing low morale among school staffers. “If you don’t pay me, my moral will go down,” the NAACP president replied. Next articleShame on Nashville! Dr. Shawn Joseph Deserved Better!